One new product announcement today from Iguana Sell would have been great but we got two! 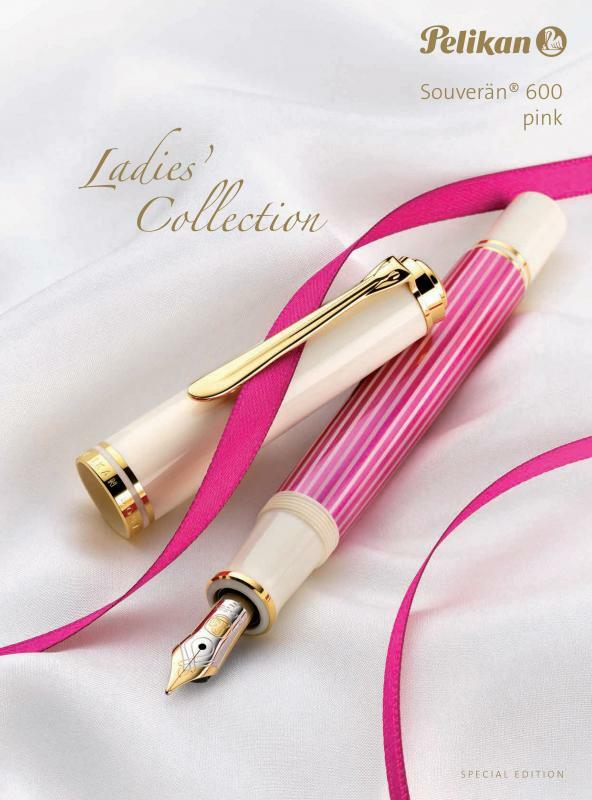 In addition to the M205 Amethyst Demonstrator detailed in the previous post, we were also made aware of the upcoming release of Pelikan’s new Souverän M600 Pink which seems to be targeted specifically for the ladies. Being marketed as part of a ‘Ladies Collection,’ this seems to be a new effort on the company’s part as I cannot recall any prior product with such a focused target audience. You’ll very quickly notice that it’s the pink striped barrel that sets this model apart from its siblings.